"Check errors from a distance"
It is very easy to connect to another computer, you do not need technical knowledge, because with knowing the password and the code that is generated within the application you can access the system you want. You can also make transfer files and even calls, these two elements are also included within Teamviewer and help the assistance you provide to a user is much more complete, as these elements help you to talk to the other person using VOIP calls and you can also send or receive files that help you in the work you are developing in their systems. It has a 256-bit AES encryption in the connection, which gives greater security when establishing connections with other users. This encryption is basic in a remote access program, since it is important that the data and information that is in both systems be completely safe. When you have a slow internet connection, remote access is much more complicated, since it goes much slower and certain errors occur. They could improve the system in the future, so that the slower connections also had a more constant speed and there were no errors. The remote access that allows Teamviewer, helps customers are more happy with the care received by your company and also give them greater security that you can solve their problems faster. To solve customer problems Teamviewer is a great tool. In our company we can solve many errors or queries from our users remotely and thus we have the possibility to give them a much faster attention than if we had to go to their location. The communication that occurs through Teamviewer, especially through the use of VOIP calls, means that we can have a closer contact with customers and that helps us a lot to be able to serve them better, since it informs us in real time of what They want to change, what their problems are and what attention they need. "TeamViewer una solución alternativa a distancia"
Me gusta porque te permite un acceso remoto de ordenador a ordenador. Simplemente se ha de instalar el programa en cada dispositivo, y registrarse creando una cuenta. De esta manera tú eres quién da permiso a la otra persona para que se conecte. Por tanto, no conlleva ningún riesgo de intrusión indeseada; sobre todo porque puedes ver en todo momento quién se ha conectado a tu equipo.Esta disponible para Windows, Macintosh, Android, iOS, Windows Phone e incluso BlackBerry facilitando así su uso a todos sus usuarios. Se puede descarga en modo aplicación para cualquier plataforma. Es gratuita y dispone de la mayoría de funcionalidades de la versión de escritorio. Puedes dar soporte o asistencia a amigos y familiares desde tu propio smartphone. Lo mejor de su versatilidad es que además de conectar al ordenador, también puedes conectar con otro smartphone. Evidentemente, no es necesario sea el mismo sistema operativo.En resumen permite una conexión entre dos equipos, uno será el invitado y el otro el huésped. El invitado será quién tenga intención de acceder a los archivos de un equipo o darle soporte. Me disgusta que si se pierde la conexión se termina la asistencia remota. TeamViewer pone una gran cantidad de funciones diferentes en las puntas de sus dedos. Para saber cómo funcionan, recomiendo revisar los manuales de usuario que ofrece. TeamViewer a nivel laboral es muy beneficioso ya que se puede solucionar problemas técnicos o de configuración de manera remota, brindado ayuda sin necesidad de esperar horas o días para que el técnico se desplacé. "Lets me connect to many people's devices from anywhere"
The connection quality as usually very good with TeamViewer. I can operate a remote desktop with great precision so everyone gets an accurate picture of hows things I'm doing should actually work on their end. The management interface in TeamViewer is laid out in a very organized way so I can access existing connections or create new connections quickly. For some end users, TeamViewer isn't the easiest remote access platform to work with. They'll sometimes ask if we can use a different system that they consider more user friendly. TeamViewer is worth a try if a smooth and fast remote desktop connection is crucial to your business. It may not have the user-friendly interface that some online calling platforms have, but I think it'll work better for remote screen sharing. For me, TeamViewer is one of the best performing remote access platforms I've ever used. It's the only platform I use at my current company, but I've used many other platforms before and they mostly didn't have the smooth connection TeamViewer often has. I can also use TeamViewer to connect my mobile device to a computer so I can demonstrate apps for an audience looking at a larger screen. "Teamviewer an excellent program to work remotely"
Undoubtedly Teamviewer is an excellent program becasuse it allows you to work remotely from anywhere where you have access to the internet, manging computers that are linked to you network, in that way to solve some problems witgout the need to go. it is very easy to use since ir is only installed directly from your website and once installed it only requires the ID and password to take control of the device. And it is avalable for different plarforms such as Windows, MAC, Linux, Android and iOS. Really The only bad thing is that this program is completely dependent on thge internet, and ig we do not have access to the internet we can not use it. Team Viewer connects any PC, Server, or Device on any platform globally in a just few seconds of time. The application can be used to establish this connection between these two devices, and every change performed on the local desktop can be updated on the same file in the remote machine seamlessly. The main problem that virtual work is achieved, is the stability in communications, many platforms have inconsistencies that become a work problem, thanks to Team Viewer we have reversed that situation, we have achieved a much more stable communication than those offered by the competition , at the same time, we have increased communication channels to the best levels that we thought we had a while ago, it has adapted perfectly to our reality and our capacity to pay, I am pleasantly satisfied. screen sharing helps colleagues to participate in a meeting while outside the office. Its very easy to connect with a remote computer and be able to transfer files which is faster. Largly Team Viewer has been an extremely useful program for me. "One of the best remote control programs"
Teamviewer has many interesting things that make it different from other similar programs in the market, first we have the excellent remote connection between computers, it is one of the most stable and fastest there is, on the other hand it has a built-in chat within the application , so that when we are controlling a team remotely we will be able to talk with the person we have on the other side of the screen, another of the qualities that I like most about Teamviewer is that its connection is very safe, every time we perform a new connection Teamviewer asks us for a username and a password that are created when establishing the connection between two computers. On the other hand the program is very easy to acquire simply go to your web page, click on download and install it on your computer, we can also make voice calls by remote connection and making calls between several people, it is perfect for meetings of I work in a way that you can work together without having to go to the place where the other person is. "1024/5000 Provide remote technical support and control computers easily"
It is a very useful software because with it I can have several computers registered in my network and I can access them whenever I want, it has a very intuitive interface and it also allows me to transfer files and make VOIP calls, the connection to the computers is quick and easy , just have the password and the access code. Its handling depends a lot on your internet connection because if you have the internet very slow this can greatly affect the way you work, also I can not control several computers at once which will be very useful for me. It is very good for large companies where you have many departments, because with this software you will not have the need to leave your office to solve a problem. For me it is very useful to use this tool in the work since I can offer help to my colleagues with software installations and other things, I can also talk without the need to find other software for it. "Excelente herramienta de asistencia remota"
Teamviewer es una herramienta multifuncional que permite tanto el soporte remoto como la videoconferencia y la conexión a un escritorio remoto similar al servicio ofrecido por Windows pero mucho más avanzado y con opciones orientadas al entorno profesional. Personalmente, a través de Teamviewer proporcionamos soporte técnico a nuestros usuarios que tienen plataformas web contratadas a nuestra compañía y para las que luego brindamos soporte, con Teamviewer podemos mostrar en vivo y de manera sencilla cómo hacer cambios o reparaciones en los servidores de la web. o en el propio código del sitio. Además, la aplicación es muy útil como soporte porque proporciona herramientas como la transferencia de archivos mediante arrastrar y soltar al cliente. En cuanto a la seguridad, proporciona una contraseña aleatoria según el momento en el que nos conectamos y no se repite en ningún caso. +La versión gratuita podría cambiarse a una versión de prueba de 30 días y ofrecer las mismas características que la versión completa para que los usuarios puedan probar la aplicación en su totalidad. +La aplicación está limitada de alguna manera al ancho de banda del usuario, por lo que si tiene problemas de conexión o una velocidad lenta, sufrirá para poder ver con fluidez lo que sucede en la máquina remota. Le recomiendo que compre la versión profesional ya que la versión gratuita es solo para uso personal y tiene ciertas limitaciones que la hacen inutilizable como una aplicación de soporte remoto en una empresa moderadamente grande. Resolver los errores de los sitios web y los servidores de alojamiento es mucho más fácil si tenemos acceso gráfico porque de esta manera no necesitamos usar comandos de texto a través de una consola de comandos, esto es muy útil para ayudar a las personas con problemas porque pueden ver la solución a sus problemas. Vivir y poder reproducirlo ellos mismos en el futuro. "Very cool for personal use but not so much for business"
Its multiplatform capabilities are very convenient and it is a very big pro. It supports Windows, Mac, Linux (although I have not tried that yet). The security of the remote sessions is very advanced, with the use of AES-256 encryption, as well as its compliance with well known security standards. Its feature to switch sides, to change who was cotrole of the computer is also nice. The price is a bit high compared to what it has to offer. The fact that they only sell yearly subscription without giving any option for a month, trimester or other time frames. Charging extra for Mobile device capabilities, adding to the already high price of their plans is also not convenient at all considering they automatically renew the subscription without warnings, and the cancellation process is tedious. This is a very nice, secure and easy to use Remote Desktop tool for personal use but you probably want to stay away from it for business use. The price / quality ratio for Teamviewer is not good. I use it mostly when I am at work and I need to manage my computers at home. It is a fast and easy way to access remotely to my computers and files. "A super way to easily connect to screens and remote computers"
I like that TeamViewer takes away my need to connect cable to external displays that we use for presentations and certain work setups. Downloading TeamViewer was very quick and getting it installed was a breeze. Once we read through all the instructions, we were able to connect with minutes with clear and smooth video quality. I like that we can add multiple users to our account so that anyone that's available can help to manage our connections. I also like that there's a mobile app that can project my mobile screen onto to computer that's connected to a TV screen. I think since there are codes and such involved with remote connections, there is a risk other may be able to gain control of your computer or view your display screens. It's probably unlikely to happen, but I'm thinking there's more risk compared to connected via a physical cable. Also, getting set up with remote connections my not work smoothly with certain platforms, so may have to check the latest specifications and requirements to ensure your devices are compatible with TeamViewer. You should check out TeamViewer for your remote device needs. If you compared the connection quality to those of other popular solutions, I think you'll notice a considerable difference. By having a more responsive connection, I think you'll see that your remote meetings are more smooth and pleasant to all involved. TeamViewer has been a smooth application for connecting to remote computers where I can help search for files or work on some designs or editing with a colleague. It's also very useful to connect my mobile screen to a computer so it's easier for a large group to see. A mobile device screen is obviously very small, so being able to connect it wirelessly to a larger screen is very critical to demonstration purposes. The responsiveness of the remote sharing has usually been close to immediate. That really helps to ensure we have smooth and productive remote meetings with frustrating lags. "Secure and stable remote connection"
The easiest way to connect remotely to a client's computer to solve a problem is its most remarkable section. It takes just a short time to start a remote connection, in a few seconds you are already connected to the computer and you do not need waiting times. You can communicate with your clients while you are doing the tasks on your computer. In addition, you can select with the mouse the sections in which you are working, so that the client knows at every moment what actions you are doing. It is a very safe application, since the person who wants you to check your pc must give you your ID and password generated by the application, so only users who have that data can see that computer. Disconnection failures we have ever reviewed the PC of a client, but we have introduced the data again and in a few moments we have been back inside the PC. We have only taken a few seconds to solve the disconnections that sometimes occur. Connect remotely securely on other computers is a task that is increasingly done to solve problems of certain users. TeamViewer is a well-known remote control tool, safe and easy to use, it is a very good choice for remote control. Saving in displacements is what we have obtained in our company with the use of TeamViewer. Now we can get into the computers of our customers without physically going to where they are located. In addition, they can see at every moment what we are doing and what tasks we are developing, this also gives them more security, since they know at every moment that we are doing on their computer. "Excellent for working remotely and collectively." What I like most about TeamViewer is that it is an excellent program that allows me to work remotely from anywhere as long as I have a stable connection to the internet and have this software in the devices to link. I love that it allows me to collectively work together with my co-workers either locally or remotely. I find it extremely excellent that this program allows me to make backup copies of my other computers from home, which gives me greater security with respect to my work, as I can support it. I also love the technical support that TeamViewer offers its customers. What I like the least about TeamViewer is how expensive its user licenses can be; I do not like much that in order to use this program both computers need to be on and with a stable connection to the internet because otherwise a link is not possible. And finally I do not like much that at the time of a collective work, if a party wants to eliminate anything from the computer, this is possible without any kind of inconvenience. According to my perspective TeamViewer is a totally necessary software for all that person that works in fields referring to the design of softwares, web pages, backup copies, among others. It is extremely useful in any field, either to deliver a job with greater anticipation or to make backup copies. All this without having to carry with all the documents in a physical device. TeamViewer is a software that has brought me great benefits in my work life because many times there are problems that go beyond my own will, and even then I have been able to finish my work and obligations from my home or other remote places. I've been using Teamviewer to help clients to solve their problems in a quick and easy way, thanks to the fact that with this application it is possible to connect without being physically present, no time is lost in travel and I can solve problems in a way that is comfortable for me. Also while we solve problems remotely and we can communicate with the person who is on the other side in case you need to explain any action, the mouse tracking is very useful for the other person to know in every moment on which element I speak to you at each moment. Regarding security Teamviewer is very complete since it only allows remote connections under certain circumstances, the first is that the application must be started, the second that the user must give us his code to connect to your computer, and the third is that this code changes in each connection so the person who connects remotely can not reuse it. Although I personally use the pro version, you see the opportunity to try the free plan and it is not as complete as the payment but I think it is in some way too limited and when the transfer limits are exceeded the connection will be abruptly closed no matter if you are in the middle of a session with another person. I recommend the application because with this application you will save a lot of time since you do not need to explain to the user what to do but simply you can do it and explain to the customer only what is necessary. Although the price is somewhat high try to get the paid version because the free plan is insufficient for someone who uses this tool daily. The application is very helpful to help clients with problems and who do not usually understand the operation of computers and the only thing they seek is for their problem to be solved regardless of how it works or what produces it. With Teamviewer we do not need physical displacement to help.
" a nice experience to make a remote connection, Teamviewer the best"
For our company it has been very helpful, very opportune to purchase this software, in it we access remotely the computers of our clients and thus be able to solve the problems that arise. To be able to control the equipment in an efficient way, we give a deserved recognition to this software for allowing us to do the remote access and thus be able to execute applications, check the status of the downloads, access documents and much more. At first we wanted to evaluate this software and we could access this product for free, when we wanted to operate with the license it was very difficult to get to update the program, besides a flaw is that you can not use the program if there is no service. Internet. To be able to establish a remote connection, just download and install the application on your computer and execute it. That is why it is advisable to have it, it is practical and easy to use.
" the best way to link to another pc"
The easy way to help family and friends when they have problems on your computer has been a resounding success. It is the essential tool for any technician or IT who wants to help people. Just by controlling another computer remotely, you just have to enter the ID of your partner's computer and that's it and allow us an effective and timely connection between computers quickly. "The best remote support tool"
The facility to make remote connections with any other equipment regardless of the distance, operating system or location of the machine. Teamviewer as application itself is very simple and so you can deduce only by seeing its minimalist interface that only shows useful information for the user and leaves the configuration options in the background only for advanced users. It is incredible to be able to connect remotely from different operating systems without any kind of incompatibility, for example I use Teamviewer in Ubuntu to connect to remote machines that have Windows 10 operating systems and it has always worked perfectly for me. The limitations of the free version since for users who use the application for the first time can not use all the features of the application in a complete way since they are very limited. Although it is understood that the application is very useful and it is worth paying it. I recommend that you use the latest version of Teamviewer (you can find it on its official website) as long as if you stop updating the client of the application there may be difficulties in the connection, especially when you use very different or outdated versions. It is very useful to be able to connect remotely with other people, especially clients and provide them with remote support without having to physically move. It also helps me to save a lot of time since I can show live how to solve a problem when I had to do it first through a chat. "A software of which I can mention wonders." In my role as security supervisor of my company, I always try to use the most advanced technological tools to comply with our greatest premise which is the safeguarding of the equipment owned by the company and protect its workers within our company. This premise has led me to test multiple softwares that offer me remote access for the management of security cameras and monitoring of activities in other offices of our company that require our services, to do this I have Teamviewer, a multifunctional software that offers the service of remote assistance to other computers, prioritizing security in remote access and ease of use of each of its features. Teamviewer is a vital software for the performance of our security monitoring activities in our company. Since we used it in our company more than two years ago we have witnessed all the positive things that this software gives us on a daily basis, at such a level of becoming a software of daily use by each of our workers. The value we attribute to remote access is undeniable and we depend a lot on the service offered by Teamviewer, I have no negative reasons to mention about this incredible software. Every time I am invited to a conference on the use of technology to improve workplace safety, I highly recommend this software because although there are many softwares that offer cutting-edge technological tools that facilitate the work of workplace safety, Teamviewer allows you to operate different types of software on different computers thanks to remote access, saving time in moving to the computers where you are working. Working remotely is one of the characteristics that is marking this generation in our company and we have known how to use this benefit well in our favor. Thanks to the technology that Teamviewer offers me, I can confirm that my abilities and skills as a worker have potentially increased. I have been able to take advantage of this software to make myself a better supervisor and make my workers better, who are grateful for this software est´en each of our work safety stations. "Remote access and assistance in a single software." Explaining all the benefits that Teamviewer has added to my work performance is an almost impossible task, and I comment because Teamviewer has helped me solve serious problems that have arisen in my workspace, and has solved them thanks to its innovative option of remote access, which allows me to work through the remote control of other computers. In the company where I work as a sociologist, the use of Teamviewer is very important because we can establish remote control of several pc and thus be able to develop research with the communities we address to study and analyze them. And not only do we use it to perform sociological work with the communities, but we also benefit from the use of this software and the repair of our computers when they are damaged, since we do not have to wait for technicians to come to our offices to repair our computers, since they using Teamviewer can enter our computers and solve any damage that the computer presents. Without a doubt this software is revolutionary. The big problem with this software is that without Internet it does not work. In many of the occasions when the PC requires maintenance or major repairs, Internet does not work very well, so the computer technician can not repair your computer with this software. A company that calls itself big, should consider having this software for the use of its workers, supervisors and computer technicians, since remote access is a very useful technology that allows to solve important problems at work as the distance between technicians and the computer. I recommend that you acquire this software and enjoy the technology offered by Teamviewer. This software has so many positive aspects that have directly influenced my professional performance, on the one hand it allows me to save time in presential repairs of my pc, and on the other hand it has allowed me to expand my skills using this software in the benefit of the communities that I board as a sociologist, since we can make remote consultations and talks to the communities with the purpose of supporting their organization in the face of new challenges.... Teamviewer and its powerful remote access tool has solved many problems in my work dynamics, therefore, it is a software that never stops being present in my pc and my android device. .
"Teamviewer allows us to have a well organized remote management"
Teamviewer we like for its excellent video quality, and for its broad customization capacity for shared screens and for webcasting on demand. It offers good cooperative writing options, and its interface is very easy to understand. We do not like that Teamviewer is so complicated to integrate hosting and file sharing services. It does not have a good integrated chat, and sometimes it takes to synchronize on many devices, which shows that it is a heavy platform and that it is not fully optimized. Teamviewer is highly recommended for work teams of few members, who are oriented to the development of online applications. We highly recommend reviewing your cooperative writing system, and learning how to use shared screens properly. Until the arrival of Teamviewer to our team we could not do remote management properly, and our communication seemed a bit limited. Now we are better organized, and we can more easily manage our workflow, always looking for comfort for all. "Smoothly connects remote devices and screens"
I don't have to use annoying wires and cables to connect to other computers or monitors. The video quality on the remote screen is usually very smooth with excellent picture quality. Though we occasionally run into some issues, connecting is mostly a pretty simple and straightforward process. The TeamViewer control panel offers us several ways to manage our users and devices for faster connections. The price is right and doesn't do any significant damage to our operating budget. Though it has often been reliable for us, TeamViewer isn't quite as stable as a standard physical line connection. That typically true for most digital connections like internet routers, computer pointer devices and such. As I mentioned before, there are times when we have trouble connecting or someone has trouble understanding what they have to do to get connected. TeamViewer can come in handy many for many business needs, particularly remote diagnosis, presentations and collaboration. If connecting remotely with colleagues and/or using external screens for presentations are a big significant of your business, then TeamViewer can be a valuable tool for you. We have successfully used TeamViewer to connect to remote computer screens for a wide range of purposes. We can do things like help locate files, diagnose and fix software issues, collaborate on business tasks and more. We've also used TeamViewer to wirelessly connect computers to large television screens and monitors. It really helps to reduce the amount of red tape and equipment that we need to connect devices and screens. "TeamViewer to offer the best support"
Teamviewer is undoubtedly a good program to provide remote assistance. We use it in our company to support people who have previously contracted our services. It can be used in different devices such as Linux, Mac, Windows and also has a mobile application for Android. Its use in simple and easy to implement and you can even use it without having to install it or buy a license since it has a free plan. We can say that we do not like the limitations that can have the free version (there are many) and their prices can be a little high for companies that are starting, something that can be a bit negative but without a doubt every dollar that costs is worth the pain. We recommend that you just do not think twice and use this great program if you need to give or provide technical support or remote assistance in your company and even to solve something personal. If you have the possibility to pay the business plan, do it! Will be worth. In our company we offer different IT Solutions services, Security Firewall, Manage spaces and accommodations in the cloud, and many of these services sometimes require us to do remote assistance with some customers and if this is not in the same location as we TeamViewer is excellent to solve that problem. In addition to that it also has a Chat panel, you can share files and even make calls. TeamViewer has been a program that we have benefited a lot. "Teamviewer helps with holding meeting." Its very easy to use and install. Video conferencing is incredible with high quality videos. Great for organising and holding meetings. Faster with transfer of files from remote to another. Sometimes it may refuse to connect when the users does not have the same versions. Yes because it helps with organising and holding meeting with clients from any part of the world with video calls increasing confidence with the clients. Easy to chat between the users and make computer support easy and simple. Its very easy to connect with a remote computer and be able to transfer files which is faster. Reliable for holding meeting with users who are far away thus making the meeting successful. Video conferencing is of high quality thus making the communication efficient. screen sharing helps colleagues to participate in a meeting while outside the office. Teamviewer is a multi function tool that allows both remote support and video conference and remote desktop connection similar to the service offered by windows but much more advanced and with options oriented to the professional environment. Personally, through Teamviewer we provide technical support to our users who have web platforms contracted to our company and for which we later offer support, with Teamviewer we can show live and in a simple way how to make changes or repairs in the servers of the web or in the site code itself. In addition, the application is very useful as a support because it provides tools such as transferring files by drag and drop to the client. As for security, it provides a password that is random according to the moment in which we connect and does not repeat itself in any case. - The free version could be changed to a trial version of 30 days and offer the same features as the full version so users can try the application in full. - The application is limited in some way to the bandwidth of the user so if you have connection problems or a slow speed you will suffer to be able to see fluidly what happens in the remote machine. I recommend you buy the professional version since the free version is only for personal use and has certain limitations that make it unusable as a remote support application in a moderately large business. Solving the errors of websites and hosting servers is much easier if we have graphical access because this way we do not need to use text commands through a command console, this is very useful to help people with problems because they can see the solution to their problems live and be able to reproduce it themselves in the future. "one of the best screen sharing tool"
This is one of the best tool available right now for sharing screen. Its widely available for android, windows, mac, Linux. Also, it comes with portable version so if are don't want to install it permanently then just use it for one time. Team viewer features simple and productive user interface to make sure all the newcomers don't hesitate with it. Also, you can use file sharing feature that's nicely implemented by team viewer. You don't have to access other PC for transferring files. Only one thing is price factor, that's it. For small businessman this is too pricey also there is no subscription based plan available right now. Highly recommend if price is not big deal for you. Just go and try team viewer, i am defiantly assured you that you won't regret your order. It helps us to connect with other world without physically available for everyone. You can share your projects details with TeamViewer meetings. TeamViewer makes it easy for us to provide technical support to our workers and customers. You can quickly access another computer with the access and authorization of the other person and provide the support or advice you want. You can also transfer files, send and receive messages through the chat that the platform has. You can also connect from the web application, desktop or mobile device. TeamViewer does not like that if the other user does not have the same version of the program as us, it will be impossible to connect the devices. In addition, the limitations that it offers in its free plan, since if you exceed its limits of use, you can unexpectedly interrupt the connection with the other associate, stopping the technical assistance. And if you need to transfer large files unfortunately TeamViewer is not a good option and you must use a third-party program to perform that task. If you want to solve your clients' problems with their software, jobs or something technical but remotely, TeamViewer is the program you should use. TeamViewer has undoubtedly been very helpful and very beneficial to use as we can guide or give instructions to our customers or employees with this program, also solve any IT problem, receive remote support, send and receive files, manage your equipment remotely if the technical assistance so deserves. "It was great holding a meeting with teamviewer." The clarity of the voices was incredible from each presenter. It was easy to install and configure. Efficient for sharing files remotely from one computer to another. The chat between the users is incredible. Teamviewer is great although different version may refuse to connect. yes coz it makes the meeting successful which helps to increase the clients confidence. It easy to share files between the users where they are able to chat between them. Screen sharing helps with training users while far away from each other thus very convinient and saves time. Incredible for holding meeting with clients and users from any part of the world with everyone having an opportunity to represent. I also use it for remote support from the system support where they just need to connect. Its very easy to install and configure thus very reliable. Screen sharing made the training possible. "Accessing the world from home!" With this product I can connect to any windows based computer system and resolve almost all IT related problems remotely, update systems and perform maintenance tasks from any part of the world, once there is an internet connection. Files can be easily transferred from host to remote machine . Very secure as new password is regenerated every time the application opens on the host. You can create an account for machines that you regularly connect to, and once the teamviewer agent is running, you can connect without requiring the need for teamviewer generated user id and password. The free version has limitations, in that very often there are messages where Teamviewer suspects that it is being used for commercial and not private use. As a result I've noticed that there were failures to connect in some of these cases. Excellent Product for IT support, with great security, fast connectivity and file sharing ability. A must have for all Technicians and domestic users. me encanta ese visor de equipo porque si puedo entrar a las computadoras sin estar dirigiéndome para su sitio es muy rapido tiene un acceso muy sencillo usuario y clave para poder ingresar, tiene maxima seguridad y chat y video simultanio. se pueden tranferir documentos fotos etc. lo que no gusta que no se puede utilizar sin internet fueran fantastico si se pudiera utilizar sin internet tambien el usu para la empresa es pago no permite acceso a usuario desconocidos y si no tienes una maquina equipo de alto gama y un internet rapido se hace lento muy lento. se pueden resolver problemas de busqueda de archivo para los chicos de sistema y para poder arreglar cualquier tipo de problema en las computadora de empresa por eso es muy bueno sin estar dirigiendose hacia ese lugar ahorra tiempo y muchas cosas. The ability to Remote Control all PCs from any device, regardless of the platform. The user account and computer grouping make it a lot easier to connect to the right devices. The iOS App works like a charm too making it as our preferred tool for Remote Connections. The in-built Audio and Video Conferenceing and Meting features makes it a on-stop application for all the corporate needs. Team viewers Dependability on the same application version on all nodes and no backwards compatibility is somehat unfavourable, It is forcing us to move to the subscription model where as the version 11 we use does the job exactly as we want. It is a very good application and does the job right. Now with the subscription model being launched, version control is no longer a problem and you get updates right when they are launched. Special care should be taken when setting up the remote computers especially with setting up the Remote Password. Two-Factor authentication with the Authenticator App makes it more secure in case the main password is lost or stolen. Remote Control and support to the computers at remote sites and mobile workers. It is a lot easier than the traditional Remote desktop and the VPN setup. "Best remote access service I've ever used." For more than 15 years of working career we expected a software that would allow us to have access and remote assistance, without a doubt Teamviewer has been the best software I have used for these purposes. This software has countless benefits that have greatly facilitated my workday, among those benefits I can mention that thanks to remote isolation the technicians of my job can enter my office PC without going to my workplace and thus be able to solve any technical problem that has my pc. We also use this remote access for the work with my workers, since sometimes I make corrections of graphic design from this software, my workers only give me the user and the password of their Teamviewer and I enter to their computers and I do the revisions of the graphic material that they design. I could not fail to mention that this software is one of the safest I have used, as it has a user and a password, without this you can not remotely enter the pc you want, and all these benefits are combined with a didactic interface that makes it very easy to use. It is a software that since the first day I began to use it increased my productivity and time savings, has been an ideal tool that complements the performance of my routine work activities, has been very useful not only for me but for all my staff, so I have no complaints or negative comments to add to this software. Teamviewer I recommend it to all companies, even without knowing this remote access technology, I invite you to use it and you will see how your productivity, efficiency and labor excellence will increase. This software gives you one of the best benefits that a competitive company can have and that is the saving of time. Use Teamviewer and you won't regret it. A software that has given us many benefits with remote access. Since we use this software in our office we have been able to not as our performance and our productivity has increased by 30%, and this phenomenon occurs because we do not waste time in the repair of our pc while we wait for the technical personnel to arrive at our offices but they repair our pc from their offices. In addition our work team can share the work faster and in real time with remote access. Without a doubt, this is a software that has strengthened my career. "Excellent program for connection of remote desks"
I highly recommend this software for its practicality and ease of use, as well as providing a quick and effective solution to our employee support system. This helped us provide support and help to employees abroad. "Access your remote computers easily"
with teamViewer we can easily, safely and free access our computer equipment from any place when we need it, either to control a process on the computer, retrieve a saved file or to provide a remote service that is required. Its functionality is extremely simple and it is as comfortable as sitting on the computer itself, obtaining absolute control of its operation, requiring little or no assistance by users on the remote computer. This functionality is ideal for remote technical support helping solve multiple problems without having to travel to the site where the equipment is located. The TeamViewer is a very robust and complete application, however excellent that it will have a portable version to manage remote access without having to install it on each computer from which the connection is made, although the version for smarphone helps a lot in this sense. Additionally, occasionally it is a bit limited for the transfer of more or less heavy files, presenting great slowness and unexpected cuts during the process. With this application I have been able to solve multiple problems related to technical assistance in the review of systems, installation of applications and peripherals connected to remote computers that have failed, saving a large amount of time in the service and assistance to customers. especially when these are at a great distance and even in other regions. "A software with different tools." It is very easy to use to connect with other PCs. I use it very often when I forget my laptop at home and I need to instantly access some of my files from my data and the computer viewer is a very important tool for me in those scenarios. In the offices we use them when we need to transfer files or chat, TeamViewer does it completely online. Something I do not like about Teamviewer is the fact that for both computers to work they must be running the same version, this is sometimes problematic because my client or I have to adapt, and since I do not work with a single client this is a great problem for me. Teamviewer is the solution for any type of remote troubleshooting. I have used it to solve small problems for our clients, both in the areas of software and in areas of help in the projects, by taking control of software as in the computers of our clients or between ourselves to solve a problem. Teamviewer has been an incredible help to our company, while using it in combination with Skype we can solve most of the problems that our customers have remotely and not spend money on traveling to their offices, I really recommend it. "Control devices wherever you are"
The ease with which I can connect to my home, office, mobile device and servers. In this way I can dictate inductions of the operation of softwares, control devices to give remote assistance, transfer files, in short; I can solve any IT problem using this tool from any part of the planet as long as we have an internet connection. Using the free version is quite limited, if teamviewer suspects that you use your tool in a commercial way, you will have a time limit for closing the connection and once the time limit is met, it automatically closes the connection and you should wait minutes to reconnect to the device where you perform the assistance. Excellent tool for IT support, I can give technical assistance from anywhere to users as well as IT colleagues. * IT problems without face-to-face assistance. "Good system to connect remotely"
TeamViewer is a great program, modern, useful and that adapts to our company properly since in our department it allows us to connect to computers remotely and to be able to work from home. TeamViewer offers me excellent image and sound quality, very stable and secure. I like how I can connect quickly in two steps and automatically be in the work environment. The interface is very good, simple, elegant and that any new user can understand quickly. The price can be prohibitive for many small companies or entrepreneurs, however I believe that the free version offers good benefits for this range of users. It is not so good that it is required to install the same versions on both desktops to make the connection. If your company can work under remote work and has good internet connection, do not skimp on resources and try TeamViewer. It is a perfect tool that will increase your efficiency and your employees will appreciate it. You can use the free version if you do not want all the extended functions. I do not know the level of support provided but according to the IT team the company is very good. Being able to connect from my home and perform all my tasks perfectly is the best feature that TeamViewer took advantage of. With your good response I can perform all my activities properly and not lose productivity or time. As my tasks are usually assigning resources, staff and contacting clients by mail, I can do them perfectly while outside the company. "A excelent remote support solution"
Teamviewer is a very nice a easy to use aplication, that let me take control of any computer that have teamviewer installed, i can control any device no matter the operative system that is running. It have a very nice and clean user interface that gets better with every new release, i can tell that the teamviewer team is putting big effors to make it better every day. Teamviewer count with a very good support team that will help you at any you need. A vey cool feature is that i can connect from my mobile device to any computer like if i was in a computer. The incoming connections log is very easy to undertstand. i guess the price is what i don`t make me very happy. Plan what teams will get the most benefit of this tool before you buy it. It give us a alternative to do remote support, with a easy and powerfull tool. "Perfect for connecting me remotely and not leaving the house"
Teamviewer is simply easy to use and understand. In my work I can work perfectly from my home and with this tool I can do it, I just need to put the ID and password and connect with my team without inconveniences. The quality of the image is very good and clear, it is practically like being on my computer. The interface of Teamviewer is very nice and with nice colors, besides the possibility of managing the equipment to which I can connect from the web is very useful to manage access. I can lose connection at certain times when the internet slows down and slows down. It would be good not to lose all the connection and at least lose only the image quality. Another useful feature could be to choose the image quality and with this optimize the use of the internet. I fully recommend this product, if you need a reliable remote desktop, good quality, good support and with a contained cost, buy Teamviewer and your workers will thank you. Being able to connect from my home to my work computer and working remotely without problems is the best benefit that Teamviewer offers me. Thanks to this I keep up with my daily tasks and I can better plan the time to visit and get new clients, which is one of my main tasks. With Teamviewer I save time and money, which I can use in other projects. "TeamViewer the best to offer remote assistance"
From TeamViewer we like EVERYTHING. It is a really complete program that adapts easily to our service and type of company. It is modern, updated, with a very easy to use and install interface. It complies with everything that promises and characterizes it. It has given us the opportunity to solve problems to our customers through their remote assistance and support, thus accessing and taking control of our customers' computers to solve problems that they have not been able to solve. Sincerely we have no negative aspects to highlight TeamViewer, much less we can say that there is something that we really do not like this program, as it is very complete and easy to use. But what we could mention for some people or small companies with little capital to consider, is that their business plans can be a bit expensive, but it is worth investing in them. We can recommend this program for all those companies that want to provide more efficient support to their customers. With this program you can access and control remotely the computers of your clients and even your mobile devices if the case merits it. You can use from your version or free plan both for personal and business use, since it allows you to use it without installing if you want to do a test. They can transfer files, make calls, print remotely, have an easy installation for Mac as for Windows and Android. This program has helped us a lot to offer an excellent support via remote assistance to our customers. Our company sells products that require installation and implementation, as well as installing mailing systems, if our client does not know how to install it, we can easily assist with TeamViewer and provide a quick and effective solution. Teamviewer makes remote screen sharing very easy. You simply connect to a remote computer using client ID and password. No need to dial into a meeting room to share screen as is case with hangouts and WebEx. Also, it is secure and has enough controls to give you control of remote machine. you can also make use of the web version to connect to remote machine. It is cross platform and you can use it on windows, linux, Mac OS, mobile device etc. File sharing over teamviewer is slow. Also, sometimes there are issues sharing audio/video of local machine to remote machine using TeamViewer. It is not open source, so make sure you have bought commercial use license. It is lightweight and hence won't hurt your system resources either. We use teamviewer for one on one remote assistance and collaboration among team members. the tool pleases me a lot because it offers an excellent service, it complies with what it should have, it has functions that other remote access programs do not provide, such as chat window, conferences, computer administration by user accounts, etc. I like the fluency that you have when managing a remote computer, it's what I see best about the tool. what I dislike about the tool is its limitations in the free version, but I understand them because to be a tool that offers free version has many good functions that can be very useful. I recommend this tool in its entirety, great if you can get it in its paid form, but so many are its functions that you do not necessarily have to have the paid version, of course I only use it to give remote support, file sharing, conferences, etc. I use it to connect remotely to the devices of some clients and to be able to give support via remote, offering them better service, I can communicate with them through the sale of chat and to be able to save me communication by another means, the tool is always improving with its updates. "Excellent remote desktop with great stability"
The facility to manage the equipment that I control remotely, is very easy to connect with just an ID and an access code, this allows me to organize the servers and be able to connect remotely easily. TeamViewer has a simple and elegant interface, very easy to use. The quality of the image is amazing, of course this depends on the internet connection because a TCP connection is used to remotely access the computer. The security offered by Teamviewer is very good and guarantees secure access to the remote desktop, this is a fantastic application. I do not like that sometimes the connection slows down and excessive image quality is lost, even with good internet connections. The support is not the most decisive. Although the free versions are good, they can only be used privately. 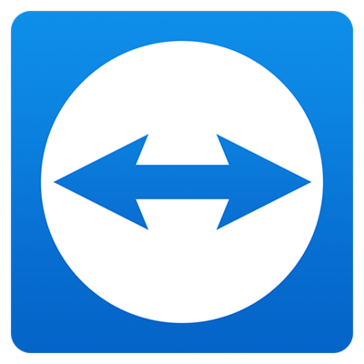 Considering all the advantages that TeamViewer offers in its free versions, I highly recommend this software if it requires simple and efficient remote access. For better features, better pay the license and use it properly. Remote connection to my servers and other equipment that I must manage, I can do my work from my home without having to move. I can also provide specialized technical assistance to my clients from any point. All this allows me to reduce costs and mobilization, in addition to providing me with the opportune agility for my work. Additionally, you can maintain a close and optimal collaboration with your clients, since I can access your equipment quickly and with just one click. "Teamviewer - Good Remote control"
This program, compatible with Microsoft Windows, Mac OS X, Linux, iOS and Android, allows a full range of options: remote control, desktop sharing or transferring files, including access to another computer that is running TeamViewer with a web browser. As a feature, Teamviewer has a multiplatform nature. It is available in more than 200 languages ​​and its use is simple, intuitive and fast, guaranteeing the quality of the remote control. In slow connections the screen looks very pixelated. Through teamviewer I can support the internal and external users since everyone has it installed, it is very easy for them to give me the connection of their computers because teamviewer is easy to use and very safe. Remote access without physical limitations and at any time. Agility in the administration of a great variety of devices. TeamViewer is a private software that allows you to remotely connect to other desktops. With it you can share and control computers that have an internet connection. TeamViewer is one of the most effective solutions for user support since it allows you to access and control the equipment remotely. Many times it is not necessary to attend the site in person to solve a problem, with this tool you can save a lot of transfer time and spend more time finding the solution to the problem, you can also share information from one computer to another and see it live. You must compulsorily buy a license to control equipment in a non-contact way; that is to say that if you need to enter your office equipment from home you can not do it without the help of a person who is in your office to provide you with access credentials, this limits you a lot. TeamViewer is one of the most reliable options in terms of remote connections, because if your ID is unique every time you close the application and re-open the password to establish the connection is updated, it would not be easy for any malicious person who wants enter your PC and want to corrupt your files establish a connection. Many times we need to get reports from print records directly from a specific client's server, this usually takes no more than 10 minutes, with this tool we request the client's permission to send us the credentials and be able to perform this activity remotely to extract the required information. We can solve problems and support the user who is in the most remote area by requesting TeamViewer credentials to use their equipment, evaluate the problem and find the solution to it. "A software widely used in the company where I work." With this software I have saved myself the hassle of wasting time waiting for one of the technicians to come to my job to repair flaws in my computer. Remote assistance is a great and precious benefit for me as a worker. Taking into account these considerations, I can confirm that this software is very good and has no defects which I should mention here. I recommend this software because I believe it is an innovative tool that fits perfectly to the current demands of jobs where productivity and quality of work must be a premise. To achieve this you need many qualities, but one of them is to get the necessary software to increase productivity and Teamviewer is one of them. The workers benefit a lot with this type of software since the time is reduced in the repair of the pc on the part of the technicians in computer science. To save time in the repair of our pc is a great benefit that has given us this software thanks to the remote assistance, this time that we have now, we use it to dedicate it more to our work and our performance, doing that we can deliver to our clients of faster form their tributary analysis. This software has been a great tool for us as workers. "Connect to any host without moving"
TeamViewer is a great product with many great features, which serve to support my clients remotely. It is very intuitive and easy to use, it is only necessary to have the ID and password of the remote host and make the support. It can also be connected to Windows, Linux, Unix servers. etc. The file sharing system is valuable in many situations. Although it is a famous and widely used service I consider it not the best option for business users. The stability of the connection is often not optimal and the quality of the image is not either. There is a lot of difference between the free version and the paid version of the product. It really is not so optimized to work with multiple connections at the same time, it's a shame because its interface is worth it. Do not use this product if you have many clients to attend simultaneously. Neither do you want optimal image quality. As this product uses Internet and HTTP depends largely on the speed of loading and unloading that both desks have, for slow connections does not help much. Consider all these aspects before purchasing the premium version. The ease that Wireshark gives me to provide support is the greatest benefit that I get, it is also very useful from the web console to verify the connection with the computers that I have connected. It is a great product for your niche market. "Solves Coordination Issues when Working from Different Locations"
I have two primary workstations at different locations. Teamviewer allows me to connect to my main workstation computer from remote locations to access software and applications that would not otherwise be available to me. I think the interface and ease of use is superior to that of other options I have tried, and at no cost. It is not also entirely intuitive to set up and use, but once you get the hang of it, it works as advertised. I have just used Teamviewer for remote desktop purposes, but it has served that purpose very well and is an inexpensive (or free depending on ones use). I find it to be superior to other options I have tried, once connected, I think the interface is easy and intuitive to use. The login process could be streamlined, but overall I am very happy with this product. Being able to access my main computer workstation from a remote location. Allows me to access and use software from a remote location that I would not otherwise be able to. Have several applications that do not allow for use at different locations or on different computers; this solves that issue for me.
" managing remotely with teamviwer"
What I like most about this tool is its free personal use and also its easy use has a chat window that is very practical at the time of communicating with the person who is giving support in case of not having communication with it. , besides that its installation is super simple is a tool of easy use. I recommend this tool totally, both its free and business use, it is easy to use and you do not need to have great knowledge to be able to use it. at this moment the tool is used to connect with remote clients and with the computers of the company to work from home is a tool that offers many basic functions on remote control very useful. "Teamviewer - Safe and Free"
If the internet connections of the PCs that are controlled are slow you will have some problems. When our clients for some reason can not install our remote access (Connectwise Control) it is almost certain that we can connect through teamviewer, because everyone uses teamviewer, so this tool solves many problems in our daily work and allows us to connect our customers efficiently. "Remote desktop at its best: viewing, control and collaboration - for free!" Going for a paid plan might be convenient if you intend to use TeamViewer regularly! TeamViewer is quick to install and get started, even for inexperienced clients, saving us hours of frustration and long phone/email conversations for remote desktop set-up instructions. "Teamviewer great remote control software"
This software is an ally to support customers or users outside the company. The access that allows Teamviewer is very valuable and easy to use with the ID and password. A very secure reliable connection is established with the remote host and thanks to the use of a TCP port there are generally no impediments with the network's firewalls. The configuration of all functionalities and features is very natural and intuitive, that even a non-expert user can carry out without problems. Sometimes you can not check all the files on the remote computer. The use in MAC maybe is not the most suitable and is not as perfected as it is with Windows. Unfortunately, the Premium version can be expensive for many small companies. Since the connection is made through a TCP port and the Internet is completely dependent, a failure in the ISP service compromises the connectivity. If you need a remote control software and do not have many resources to find a payment solution, go for Teamviewer. In its free version it is completely stable and works perfectly. It will add a lot of value to your service and allow a better management for your employees, in addition to facilitating daily tasks. The tasks of remote assistance and support have been easier with this software, since it is very easy to use even for non-expert users in the area. All this is what is asked of Teamviewer and therefore you can not ask for more, as this is done perfectly giving much value to our company. * We monitor all TeamViewer reviews to prevent fraudulent reviews and keep review quality high. We do not post reviews by company employees or direct competitors. Validated reviews require the user to submit a screenshot of the product containing their user ID, in order to verify a user is an actual user of the product. Hi there! Are you looking to implement a solution like TeamViewer?